Social norms in France can catch foreigners by surprise if they don’t know what little words to use where. 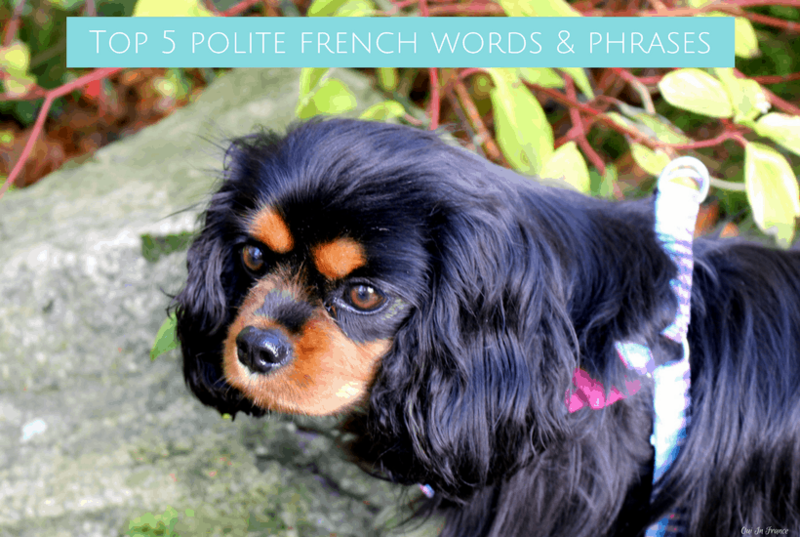 Here are the top 5 polite French words and phrases you need to learn to fit in when you’re interacting with the French. Tom has recorded audio for us so you can hear the words as well. Why be polite? Because it makes a good first impression and is also part of French culture. It shows you’ve done your homework and understand French cultural norms. You do as the French do. No one expects visitors to speak perfect French by any means, but showing that you understand French politeness goes a long way. It’s better to be overly polite than to skimp on the polite French words in my list below and have someone think you’re rude and careless. 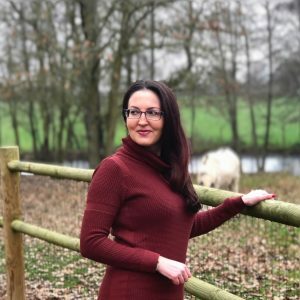 Thanks to my French husband Tom for recording the audio. He says each of the polite French words at normal speed and then more slowly in the audio below. If there is one French word you use, let it be this one. I’m putting bonjour first on the list because it’s THAT important. 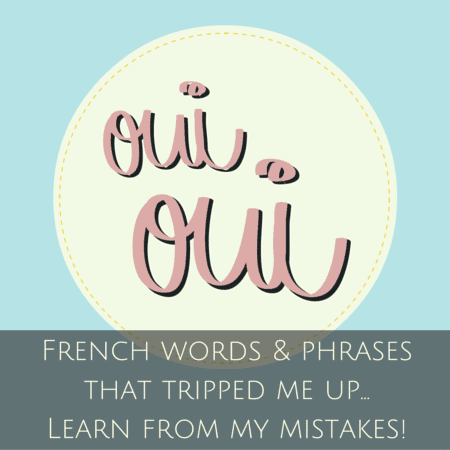 If your lips are not able to utter much French, make sure this is the one word you learn and say often. Even too much. Say it in all contexts: when entering a doctor’s waiting room to the other patients waiting, to shopkeepers when you enter a store, to cashiers when it’s your time to pay, to waiters, to people in an elevator, etc. You say bonjour to anyone you’re going to interact with. You say it to anyone you’re asking for help BEFORE you ask for help. It’s the friendly and polite thing to do and is probably used a little more often than hello in the USA. Again, when in France, always try to be on the side of being too polite if there’s any doubt in your mind. Just as magical as bonjour, merci (thank you) is another one of the must-use polite French words in your lexicon. 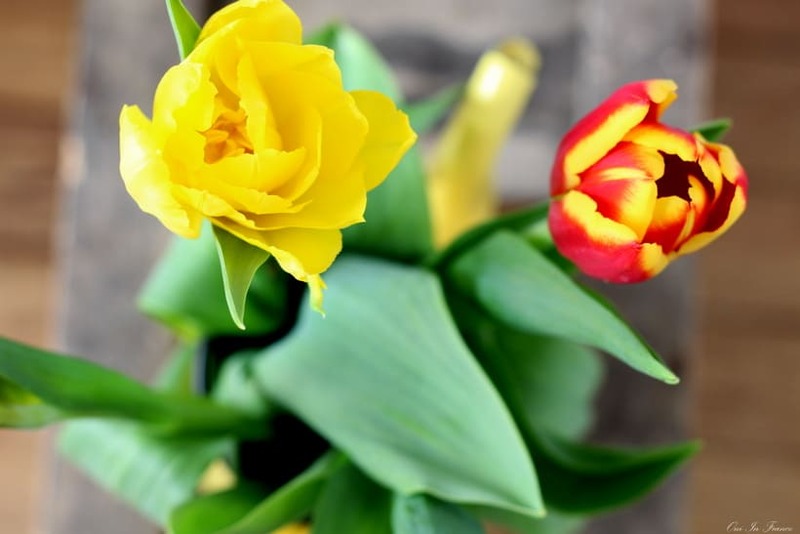 If anyone does anything for you at all or merely tries, say merci. There’s not much to it. Always address people with a monsieur or madame and NOT their first name until you’ve been invited to do so. If you do not know the person well or at all (even if you know their first name), default to calling the person monsieur or madame, unless the person is a kid. It’s always “hi sir or ma’am” in France. You don’t say “hey man” or “what’s up dude” or any type of casual equivalent. If you know the person’s last name as well, use it after the monsieur or madame. In doctors’ waiting rooms, you’ll often see people arriving and greeting the other people already waiting with a bonjour, but very frequently you’ll hear each person upon arrival say to the seated people waiting, “Bonjour, messieurs-dames.” (Hello, ladies and gentlemen). The French let others know that they’re seen. It’s what you do and I like it. P.S. The “r” in monsieur is silent. OK, so this one is a mouthful and probably not something beginners would be comfortable saying. 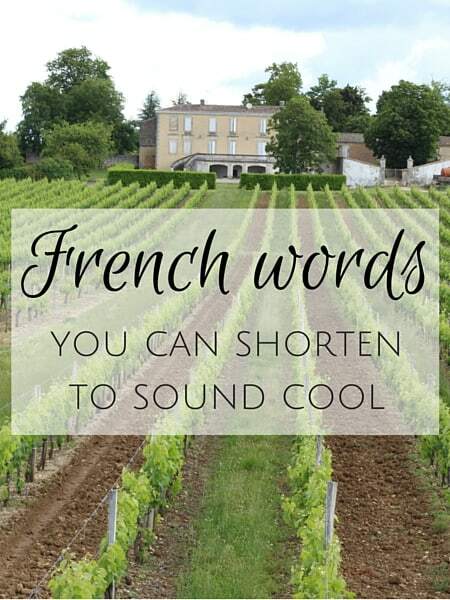 But if you have a little French speaking experience under your belt, learn this phrase. It means “Sorry to bother you.” It’ll start the interaction off on the right foot. And trust me, in customer service, you’ll need all the help you can get. If you’re asking an employee for help in a store or at a place of business, this is what you say. Even if it’s their job to help you and they don’t seem busy or like you’re disturbing them at all, say this. 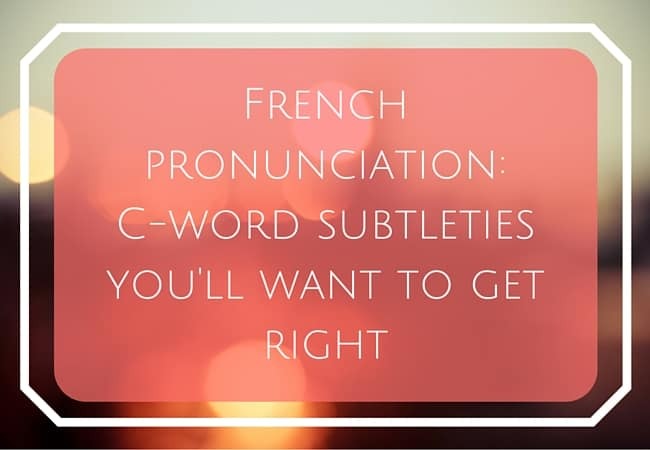 Even if the employee is goofing off with coworkers or texting on their personal phone and totally free to help you — since it’s their job and all — you should start off the interaction with a bonjour (because duh, see #1) and then slap on the désolé(e) de vous déranger. “Excusez-moi de vous déranger” is equally good to say. Assume that you are always bothering everyone and force yourself to say it even if you’re secretly rolling your eyes to yourself. This goes double at the post office. Triple at the prefecture for any bureaucracy issues. Quadruple if the kind of help you need is going to annoy the person and be slightly difficult (or just force the person to make an effort). 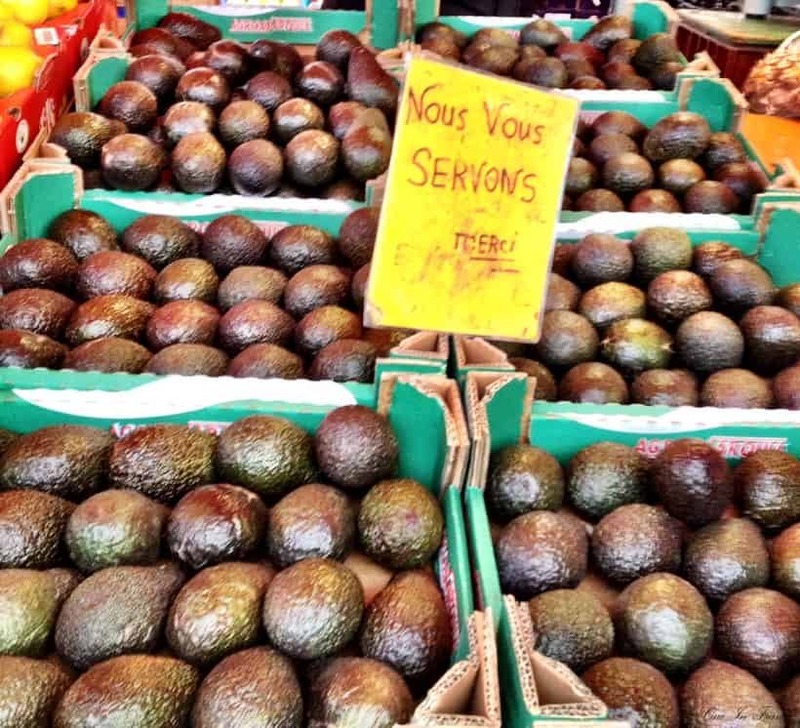 Customer service in France is, well, different than what you might be used to. This means “have a good day” and can come right before you say au revoir (goodbye) to someone. The au revoir isn’t always necessary but tack it on for good measure. Too many niceties is never a bad thing. Saying bonne journée is friendly and upbeat and something you can say to shopkeepers, cashiers, receptionists… everyone really. When you leave a place, it’s normal to say something like, “Merci, bonne journée, au revoir!” You can always just say au revoir, but you’ll hear bonne journée (or bonne soirée if it’s at night) quite often. 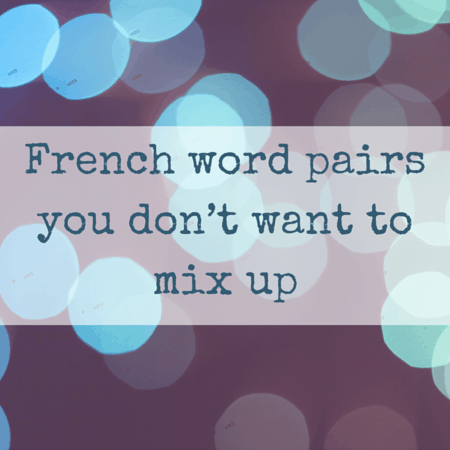 It’s a polite French phrase to know and you can never have too many of those. 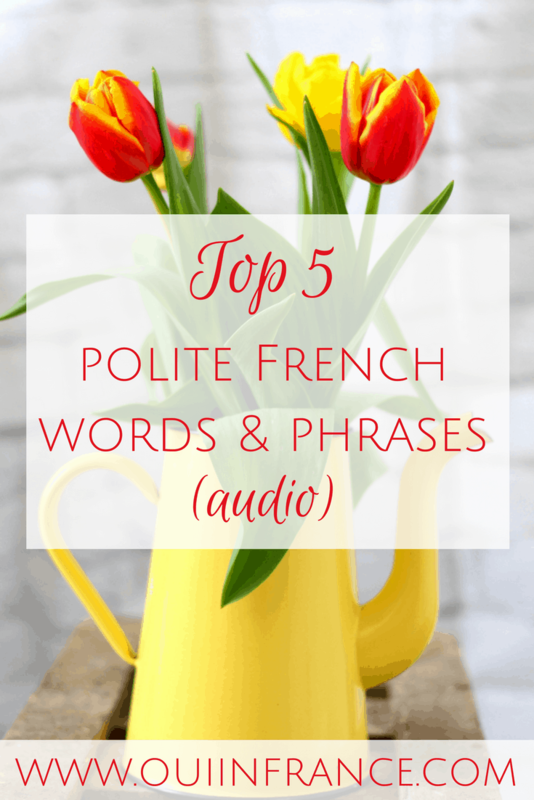 What are your favorite polite French words and phrases? « Why does France allow us to slow down and appreciate life more? Thank you for this! I’m new to the French language, so this will come in handy. Désolé de vous déranger, i didn’t know that phrase Diane. An interesting article to read thank you, not forgetting Tom of course. S’il vous plait (not sure of spelling) is a good one to use as well. I’ll second this one, it’s always good to say please. But no question that Diane is right and Bonjour is by far the most important word! Hi Jo-Anne, sorry for any sound issues. Tom doesn’t speak super loudly but we recorded it at a regular volume and as long as your sound is up, the sound should come through. Maybe try on a different device? Thanks for reading! I am glad you started with “Bonjour”. I see too many people complaining about how the French seem rude, but the truth is, if they skip the “bonjour”, they don’t realize that they are rude first. Bonjour Diane! 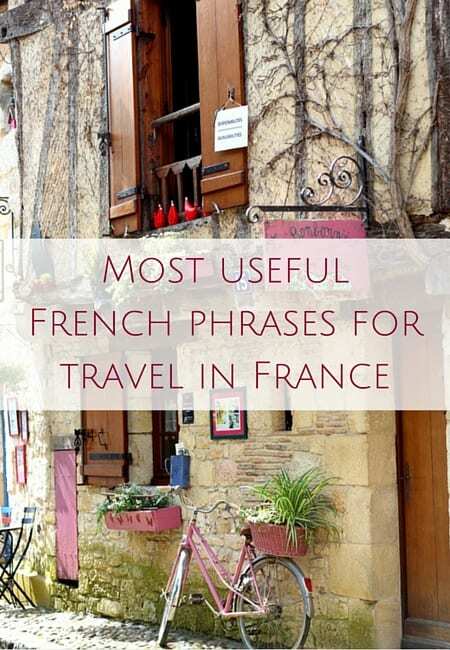 These all are wonderful; something every visitor to France should read. I would add “pardon”. I’m in Paris now, and I bet I say it 100 times a day! On the bus, subway, sidewalk, any time you need to get where you’re going, or when you step on someone’s foot… And when said with a smile, I most often get a smile back!